Dr. Dearing earned a bachelor’s degree in biology and researched molecular and cell biology at Duke University. He attended medical school at the University of North Carolina’s Chapel Hill School of Medicine. While there, he conducted research on abdominal transplant surgery. His residency took place at the Albert Einstein School of Medicine with the Montefiore Medical Center in New York. 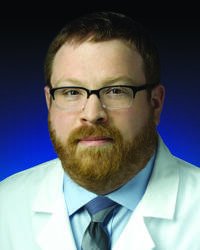 Dr. Dearing completed his fellowship in vascular surgery at MedStar Washington Hospital Center in Washington, DC. Dr. Dearing speaks French and is proficient in medical Spanish. He performs procedures Tuesdays and Thursdays at MedStar Southern Maryland Hospital Center and has office hours from 9 a.m. to 4 p.m. on Fridays.